If you play hockey and don’t score any goals, you lose. If you play baseball and don’t hit any runs, you lose. If you play basketball and don’t shoot any baskets, you lose. If you play football and don’t score any touchdowns or field goals, you lose. However, if you fly fish and you don’t catch any fish, you still win. Don’t get me wrong, I like to catch fish as much as the next angler. Number and size matter. Wild, aboriginal and native are better than hatchery, stocked and foreign. But catching fish isn’t the be-all and end-all. The essence of fly fishing lies elsewhere. I’m not the first fly angler to praise fishlessness. The wonderful writer known as Sparse Grey Hackle called his compendium of stories, tall tales and humour about fishing and the outdoors Fishless Days, Angling Nights. Nonetheless I should explain my fishless contentment by tracing the contours of an evening on the Grand River in southwestern Ontario. The river winds its way through where I live in Waterloo. I fish for brown trout in its tailwater between the Shand Dam at Belwood Lake and a few kilometres west of Inverhaugh. When the water temperature rises to the point of becoming inadvisable to target trout, I switch to smallmouth bass between Cambridge and Paris. 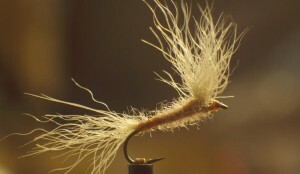 It’s a veritable fly angler’s delight! On this particular evening I was fishing for trout in the tailwater between Elora and Fergus. It was mid July. A period of moderate daytime temperatures (the central air-conditioning turned off), some sustained showers (no need to water the garden) and cool nights (sleeping with the windows open) made it possible to fish for trout, even though I had fished for bass the previous evening. I was fishing solo because my regular angling buddy Dan Kennaley was enjoying a couple of weeks vacation at the family cottage in Muskoka. There was another fly fisherman at a good spot a couple of pools upstream. However, it was serene; there was space enough for both of us, alone in our mutual isolation but not lonely. The evening began with my driving to the river after supper. It took 40 minutes through rolling farm country. The driver’s side window was rolled down. I could smell the rich funky earthiness of crops growing. Tony McManus, a world renowned acoustic, finger-style guitarist who moved to Elora from his native Scotland a decade ago, was on the CD player. This is Mennonite country. I passed a couple of black horse-drawn buggies traveling along the side of the highway. The life of simplicity followed by the Old Order, including no electricity or motor vehicles save for tractors, reminded me of the basic simplicity of casting fur and feather tied by hand on a vise. What can be simpler than a reel consisting of a metal cylinder rotating inside another metal cylinder, attached to a long willowy tapered rod? I was using my Sweetgrass five-weight, made in Twin Bridges, Montana from Tonkin bamboo harvested in China and constructed by modern-day craftsmen who put value in time-honoured quality above mass-produced quantity. There was little insect activity either on the water, which was a tad stained, or in the air; consequently there were few rises. 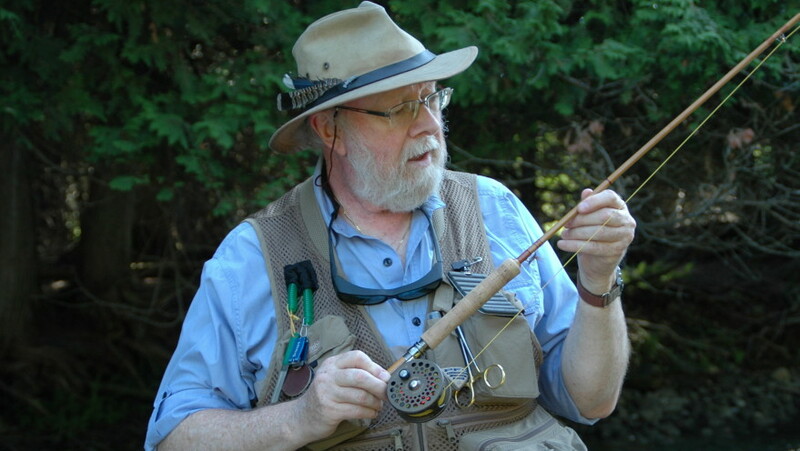 Still, because I had my split-cane rod I insisted on casting dry flies. I lighted up a Portagas Series D No. 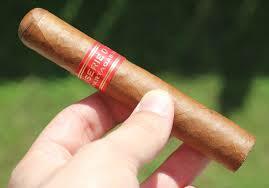 4, a fine Robustos cigar hand-rolled and wrapped in Cuba and aptly described by cigar aficionado Charles Del Todesco in The Havana Cigar as ‘worth savouring in peace and quiet.’ I took a puff between casts, establishing a pleasant rhythm of shallow breathing and low-impact physical motion. Occasionally I stopped casting for a few moments to take full advantage of the pulsating current flowing around my waders as I stood in knee- and thigh-deep water, listening and watching, in tune with the immediate world around me. The temperature cooled as the sun set and shoreline shadows inched quietly across the river, which I shared with other creatures including a small flock of frisky ducklings, a darting reconnoitering kingfisher and a magnificent osprey with a small fish in its beak gaining ascendant flight along the river’s flyway. 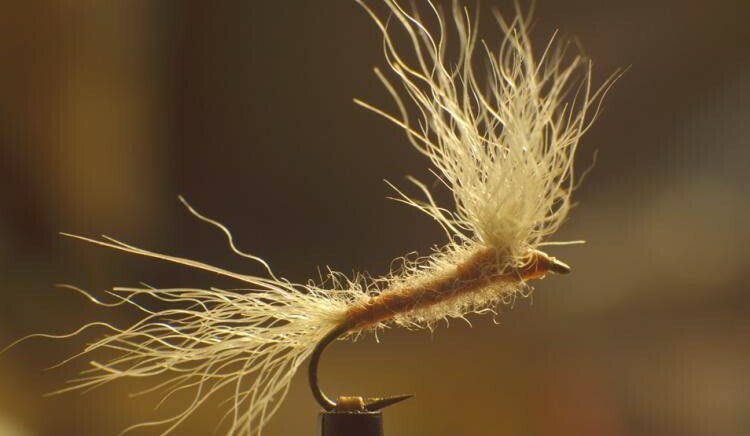 I had no hits, even though a couple of fish contemplated and subsequently rejected my Usual (developed by legendary Upstate New York fly tier Fran Betters) and elk hair caddis. Both are go-to dry flies on the Grand. But no matter. It was getting dark; time to head home, with the window down as the sweet melancholy of eventide seeped into the car. Tony McManus was my musical companion once again. As much as I appreciate his music, I respect the man just as much, having interviewed him and reviewed a number of albums and concerts in my former life as an arts writer for the Waterloo Region Record. The darkening horizon was illumined by slivers of burnt orange, rust and dusty rose. 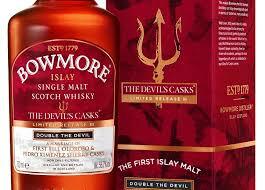 I was looking forward to sharing the rest of the evening with my partner Lois and enjoying a nightcap dram of Bowmore Devil’s Cask, a small-batch, limited-release single malt from Islay aged in Oloroso and Pedro Ximenez sherry casks to impart a deep mahogany colour. A sip is like savouring a morsel of Christmas pudding soaked in toffee sauce while sitting in front of a toasty peat hearth in a stone cottage awash with the cold salty spray of the North Atlantic. Yum. 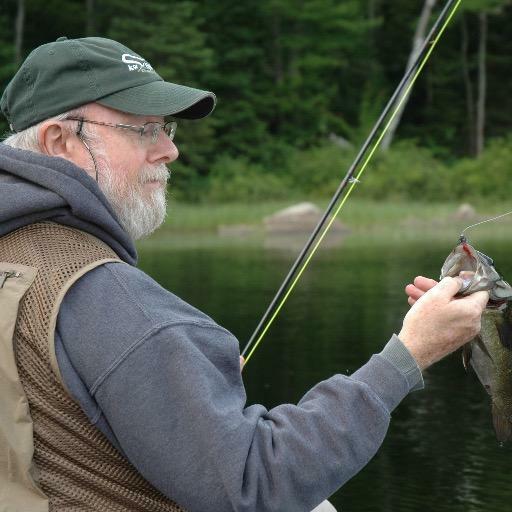 As many an angling scribe has noted, fly fishing is more than catching fish. It’s being attentive in the Now and taking deep delight in the joys of living. And giving thanks. O Brother, how I love those fishless nights.